VIDEO: Brand New INTERSTELLAR Trailer! Brand new trailer for Christopher Nolan’s sci-fi thriller. This trailer reveals a bit more about the plot. Fan reaction has been mixed. Some expressing huge excitement. While others remain unimpressed. Despite mixed reviews, GODZILLA’s box office beat expectations midnight screenings brought in an estimate $9.3 million, while Friday numbers reached a high of $36. 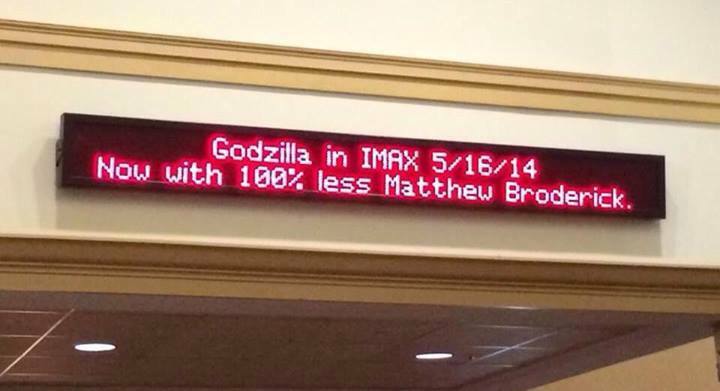 This could result in a total box office of over $90 million for the weekend.